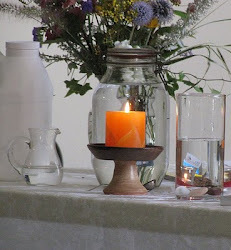 UU A Way Of Life: Will you choose to forgive or condemn? 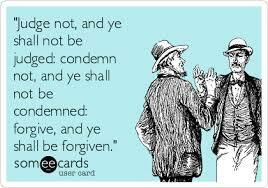 Unitarian Universalism doesn't say much about forgiveness and yet it is key to the spiritual life. How could UUs ignore something so important? Is it because they have denied the imperfect aspect of humanity which has arisen because of our separation from the Divine? Some UUs even deny the Divine. Former UUA president John Buehrens is said to have asked atheists what god it is that they don't believe in. If we substitute the word "Life" for the word "God" how could anyone not believe in Life? And if by "Life" we mean the nondualistic Oneness how could a part of the Oneness condemn and attack the whole? Would you choose to forgive or condemn? People either act out of love or they are making a call for love. The choice we can make in this world, which is our classroom, is to condemn and attack or forgive and connect. When we respond to attacks with counter attacks we confirm that there is something to fear. We have sided with the ego and not the Holy Spirit. Politicians do this constantly. President Nixon said, "The best defense is a good offense." President Trump and his administration provides us with a morality play daily of counter attacking and playing the game of "What about ________!" It is a childish game of "he hit me first!" and "look at what she did!" The morality play broadcast daily in our media demonstrates the futility of the games of the ego. Symptoms of distress emerge in rising suicide rates, mass shootings, protests, and increasing divisiveness. Underlying fears fuel racism, mysogony, xenophobia, and state sanctioned murder with drone strikes, torture, and threats of war. Kenneth Wapnick writes in his book, Christian Psychology In A Course In Miracles on page 27, "The Holy Spirit's correction is the miracle of forgiveness. It is this that replaces guilt with holiness, illusion with truth, and darkness with light. It is holy because it reflects Christ's love." The challenge of the times is a whole new way of thinking and understanding of our human experience. Jesus said we should love our enemies. On the path of the ego this injunction is insanity. 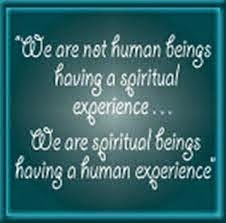 On the path of the spirit it makes perfect sense. We are all part of the Oneness. We are all in this thing we call Life together and no one gets out alive.